The second "Hangover" film's release in on track. Federal Judge Catherine Perry today ruled that Warner Bros. can proceed with Thursday's scheduled opening of "The Hangover Part II," but also announced that the studio did not have permission to reproduce a tattoo used not only in the film but in the marketing of the film. But the Judge also ruled that tattoo artist S. Victor Whitmill does hold the copyright to the tattoo. 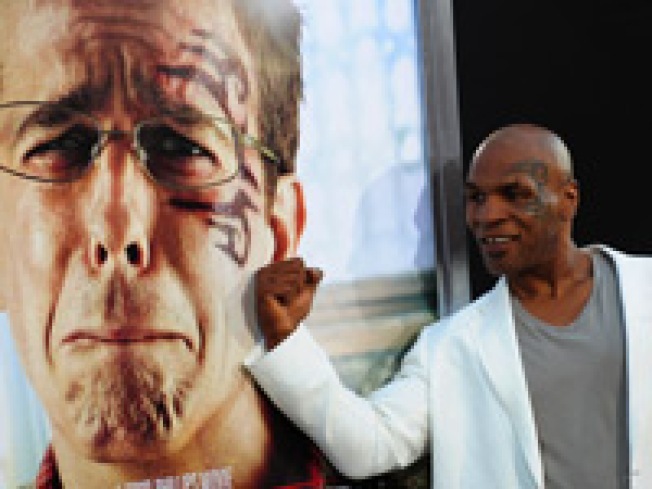 The tattoo was originally drawn onto the face of boxer Mike Tyson in 2003 and a similar tattoo was reproduced on the face of actor Ed Helms in "The Hangover Part II." It is also used in marketing and promotion of the film. Attorneys for Whitmill had sought a temporary injunction to stop the release of the movie but Judge Perry moved to allow the film to open because such an Injunction would do irreparable harm to third parties in the matter, those being theater owners. The movie will be released in 3,500 theaters nationwide. The first "Hangover" grossed more than $460 million worldwide. Judge Perry also cleared the way for Mr. Whitmill to pursue a permanent injunction at a later date. VIEW THE PHOTOS: Bradley Cooper: Hollywood's 'Hangover' Heartthrob! Attorneys for Mr. Whitmill at the Brickhouse Law Group in St. Louis said that's likely to happen this summer. Attorney Peter Salsich of the firm told Access Hollywood today he thinks, based on today's ruling, that their client will be entitled to an "allocation of profits" not only from the film but from the marketing budget. Mr. Salsich called today's decision "a victory. "Our client proved his case," he told Access. "We are very gratified by the Court's decision which will allow the highly anticipated film, 'The Hangover Part II' to be released on schedule this week around the world. Plaintiff's failed attempt to enjoin the film in order to try and extract a massive settlement payment from Warner Bros. was highly inappropriate and unwarranted."